The Blackadder II finale featured appearances from Max Harvey as a torturer and Mark Arden and Lee Cornes as soldiers, but it was ultimately about the return of Hugh Lawrie as the master of disguise, Prince Ludwig, along with an expanded role from the wonderful Stephen Fry as series regular Lord Melchett. 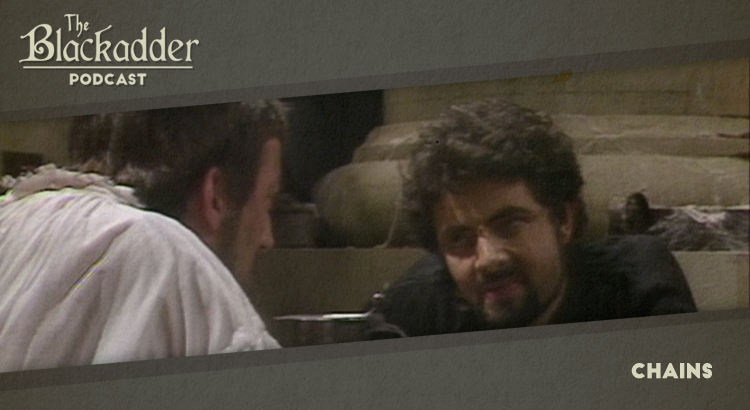 Melchy and Blackadder are kidnapped by Ludwig and with the Queen unable to choose which to random, must escape from captivity on their own wits. Chains was released in 1986. It is 29 minutes long and originally aired on the BBC. Blackadder II can be viewed on Netflix in the UK and Ireland and a remastered set of the whole series is available on DVD around the world (Region 1) (Region 2).